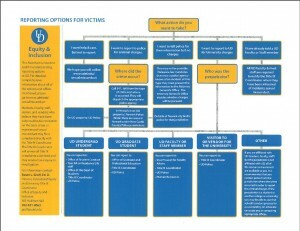 determine whether an investigation is appropriate, based on the complainant’s wishes and the safety of the overall campus community. The Title IX Coordinator will not report an incident of sexual misconduct to the police, unless federal or state law or University policies (for example, mandatory reporting of child abuse) require such an incident to be reported or unless the incident poses a serious safety risk to the campus community. There are times when the Title IX Coordinator may determine that an investigation is necessary even if a formal complaint has not been made or if the complainant requests that no investigation or disciplinary action occur. If the Title IX Coordinator determines that an investigation is appropriate, the Title IX Coordinator will advise an investigator to conduct the investigation pursuant to the Sexual Misconduct Policy. The University will use reasonable efforts to prevent any retaliation against the complainant. A report of sexual misconduct may be filed with the University Police Department (“UDPD”), if the alleged misconduct occurred on campus, or other law enforcement agency, if the alleged misconduct occurred off campus, for a criminal investigation. Filing a report of sexual misconduct with a law enforcement agency, including UDPD, does not preclude the complainant from also filing a report with the University Title IX Coordinator and filing a report with the University Title IX Coordinator does not preclude a complainant from also reporting the incident to a law enforcement agency, including UDPD. If a report of sexual misconduct is made to both the University Title IX Coordinator and a law enforcement agency, the University will, to the extent possible, coordinate its investigation with the law enforcement agency to minimize the burden on the complainant, respondent and witnesses. However, the University may need to delay its fact investigation for no more than 10 days while the police are conducting their fact investigation. If the complainant is a minor all potential abuse reports must also be reported to the Delaware Department of Services for Children. Please refer to these to make these additional reports.